This is a instructional intramural program for first and second grade girls. We will accept younger players on a limited basis. Please email Optimistlax@aol.com to be considered. The development of stick skills are the primary focus, but competitive activities and modified games keep the players interested and on task. The program is held on starting afternoons from 12:00 to 1:30 pm starting March 30 because Easter is ending Saturday May 18. This year we are again partnering with NXT Lacrosse to provide instruction not only for players, but parents who may want to serve as coaches in grades 3 and up when the girls are assigned to travel teams. 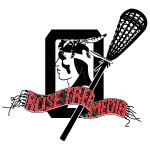 Check out this Lacrosse club team 'Spring 2019 Girls First/Second Grade Intramural Lacrosse Program' with Rose Tree Media Optimist Sports!